I'm consuming at lot more compilations at the moment. More, I think, than I ever have done in the past. Although I hate to add more fuel to the 'album is dead' fire I think this change in my listening habits is merely a reaction to the fact that despite me being out of a 'proper' job I'm busier than ever. Compilations are just easier to dip into and out of. Get the right one and it allows you to sample a bit of everything that you're after at that point in time. And so we come to Art Is Hard Records an their Dry Route To Devon. Very much 'the right one' for this point in time. Like Alcopop! Records annual Alcopopular releases (and to a lesser extent our very own Keep Pop Loud CD) this release has sought to make music available in a way that's both physical and collectable whilst innovative and novel. The physical side to the release comes in the form of a large map of the South West of England with QR codes embedded representing the location of the bands featured – with the idea that you can scan them with your smart phone and access the music as soon as you've purchased the map. Great! Of course instant access is only worthwhile if the songs are any good, and at the end of the day that's what you're wanting to know. Or at least you would be had you not already gathered that I think this release is pretty special. My personal highlight is Big Wave and their song 'Wild Strawberries' which I wrote about as Track of the Week on Monday. Big Wave represent Torquay on the map and supply what is a sublimely pure slice of pop that would not sound out of place on the seminal Rough Trade Shops Indiepop 01 CD. But say indiepop, in the traditional sense, isn't your thing? Well then, how about the brother/sister noise pop duo of Hysterical Injury? Abrasive but melodic they come across as a bit DFA 1979 with a female vocal that's a bit Elastica meets Clap Your Hands Say Yeah. Listen to it. You'll know what I mean. And even if you don't you'll like what you hear anyway. Now, it'd be really easy for me here to go through every single song on the album, outlining a vague description, and if it were the case that you'd have to go to great lengths to hear the music, that is what I'd do. Good for you then that you can listen to it right here. At only 35 minutes (and a few seconds) it won't take you long to get an overview of what we're looking at. If more pointers are what you're after however then fans of scuzzy rock n roll should go straight for Lost Dawn's 'Blog Baby Blues' whilst those who like their lo-fi need to look at Yrrs whose 'Gravel Pit' is a barely decipherable mess of guitar fuzz and melody. It works, but only just. On the more electronic side of things there's a few examples of the sort of 'blog pop' that I normally won't go out of my way for. As Art Is Hard have demonstrated, this is very much my loss. Both Rock Hudson (Bournemouth) and Adjust Your Set (Portsmouth) produce the best examples of heard of this all year, with the latter edging out ahead by combining the gloopyness that we expect with a crisp guitar line and euphoric edge. The appropriately titled 'In Motion' will make your train journey (be it to Devon or not) feel that much more epic than you'd expect. As this is such an excellent compilation I feel remiss now for not mentioning everything. Gorgeous Bully, Safari Park, WeMakeNoises, Fire Island Pines and Olo Worms are all worth your time and are probably even better than my words can do justice to. Basically you should do your ears a massive favour and listen to this. When you like what you hear you can order the map. 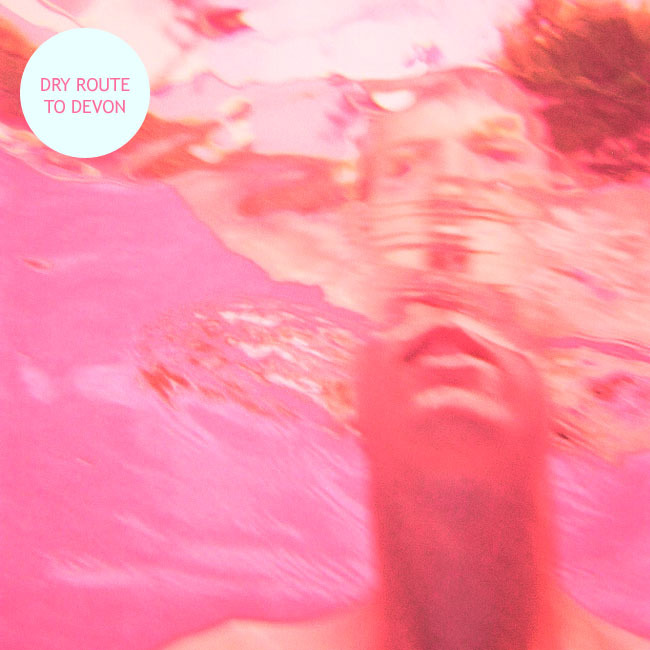 More than a compilation of 'local bands' Dry Route To Devon is a love letter to its locality, a taster of what's AMAZING about underground pop and something pretty to hang on your wall.